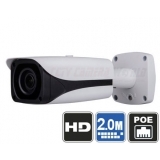 1080P IP cameras are network based surveillance cameras that utilize a digital signal to send video, audio, power and data over a single network cable such as CAT5e or CAT6. 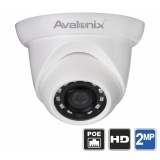 This coupling of audio/video/data/power makes them a preferred choice for professional security installers looking to simplify a security camera system. 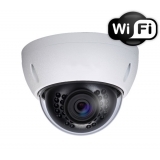 It is important to note that video signal transmission over a network cable is limited to 328ft, and requires a PoE extender for longer cable runs. 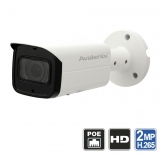 These 1080p security cameras use a 2 megapixel (2MP) CMOS image sensor to produce vibrant and clear HD video equivalent to Blu-ray quality. 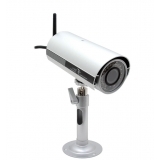 The HD video captured by these cameras allows for facial recognition up to 30ft at a wide 80 degree viewing angle. 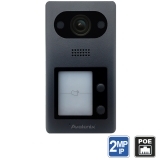 Also recorded video can be magnified to look at objects of interest. 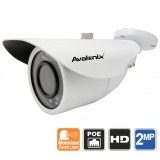 1080p security footage is 225% larger in size compared to analog D1 or 960H resolution. 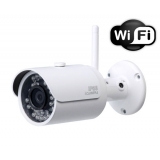 For customers looking for affordable cameras and without any networking knowledge, we recommend HDCVI cameras as they are plug and play, require no configuration, and are very affordable.